We are at the peak of peach season over here. I have to say I’m loving it. 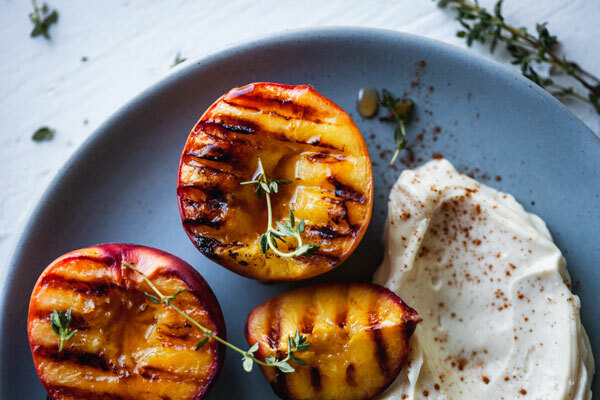 Nothing beats enjoying peaches at the peak of their season. 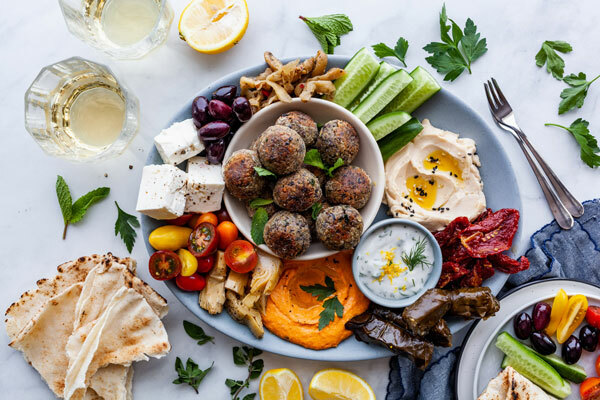 Sweet, juicy, aromatic and oh so wonderful. 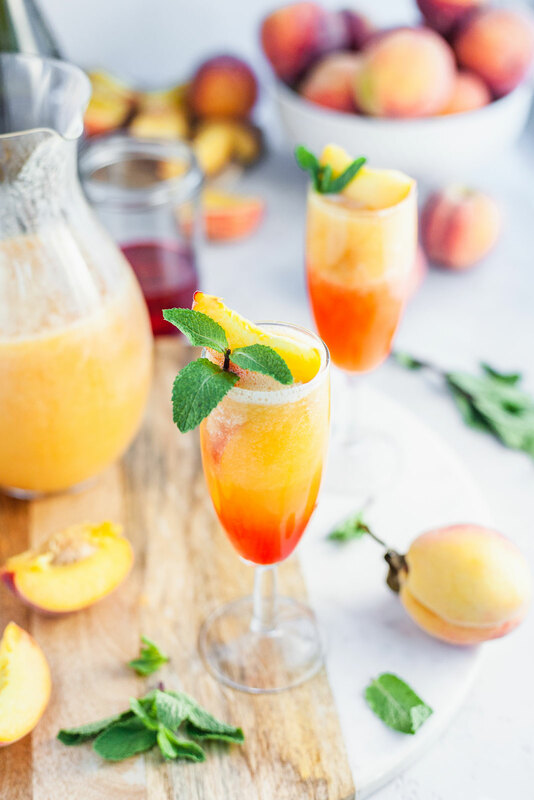 I’m very excited to share 3 recipes with you guys this peach season. This is the first one. 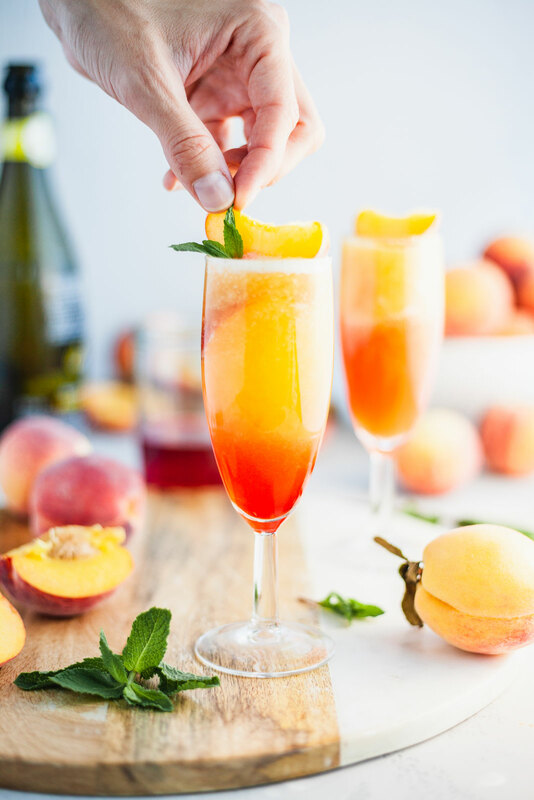 I thought I would kick off my peach series with a classic cocktail. 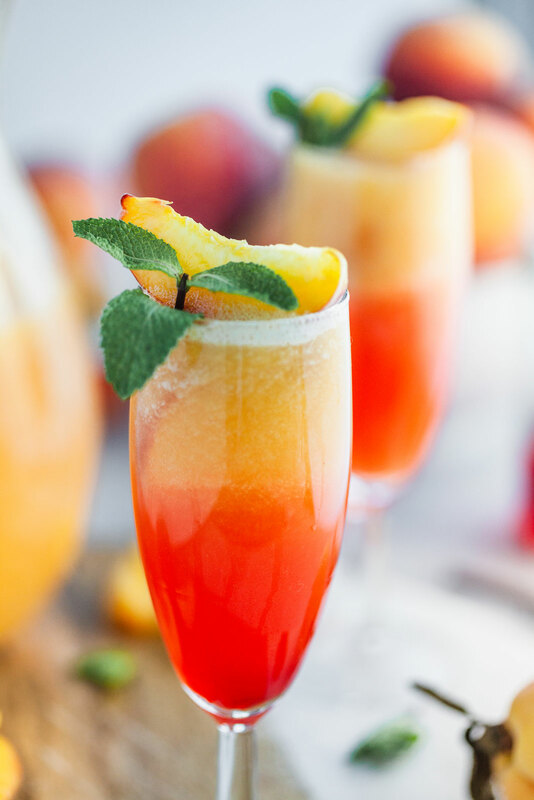 Not just any only cocktail but a refreshing frozen one that people love. 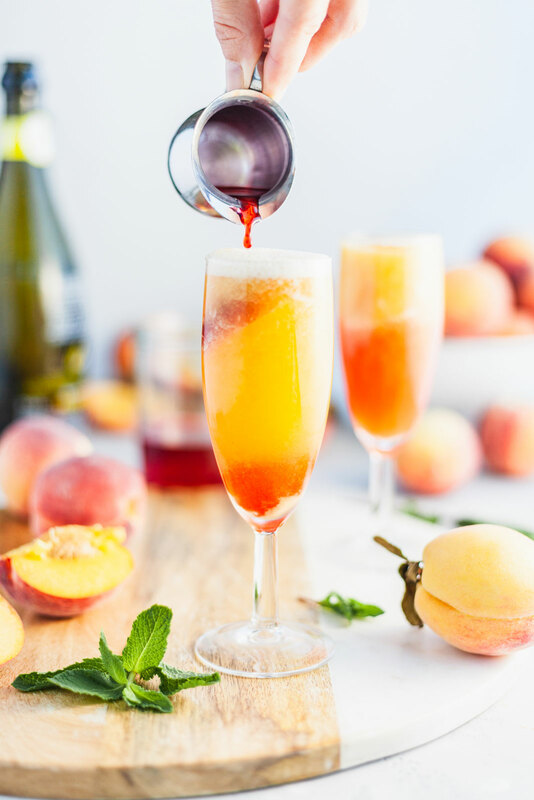 Of course it’s the peach Bellini! 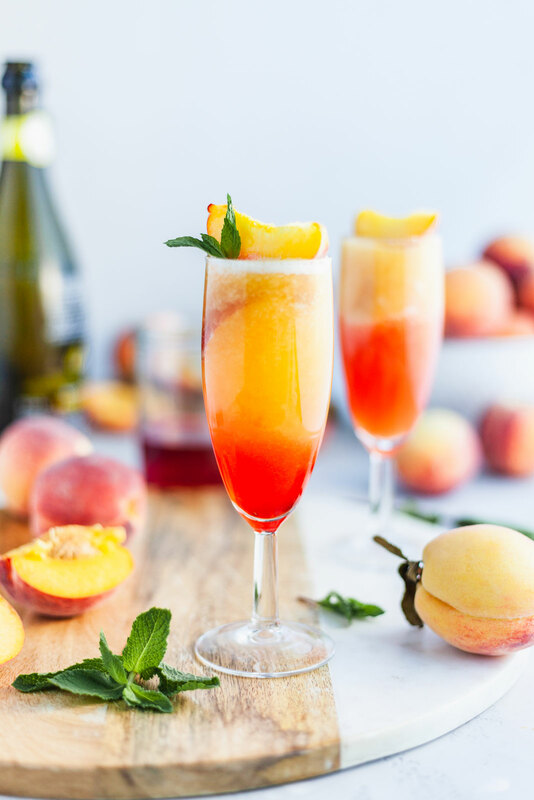 There are many variations to this wonderful cocktail and I have actually tried a few but this one is my favorite because it uses fresh peaches that are frozen. 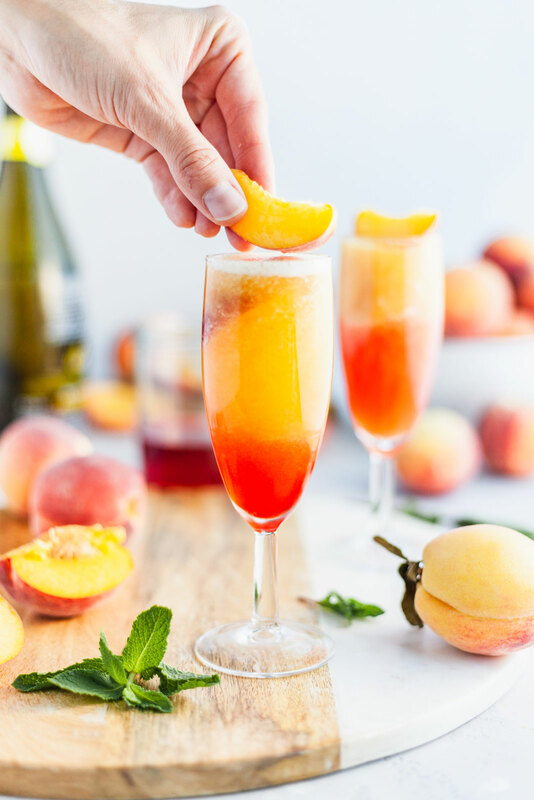 I have made it with peach nectar alone, by freezing it in ice cube trays and using those in the blender instead of the frozen peaches and it works and they do turn out pretty good but I prefer using frozen peaches. 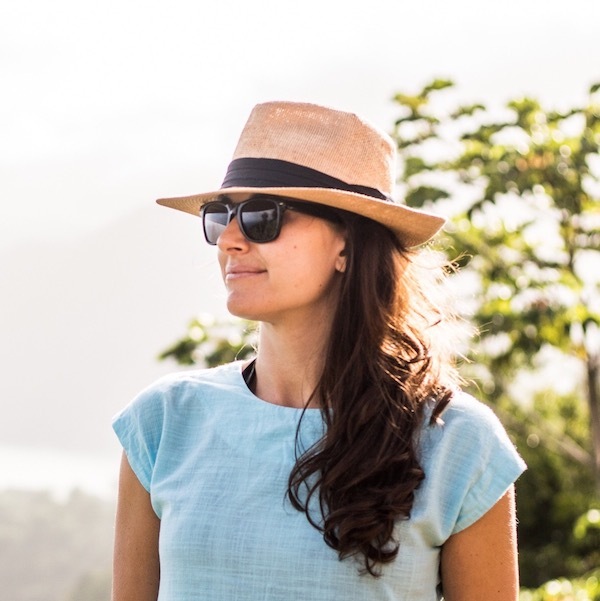 The ones in season are just so wonderful and really make all the difference in this drink. When they are out of season, freezing the peach nectar is really a great option though so remember that in December. Or if you have enough freezer space make sure to freeze and store peaches from now. 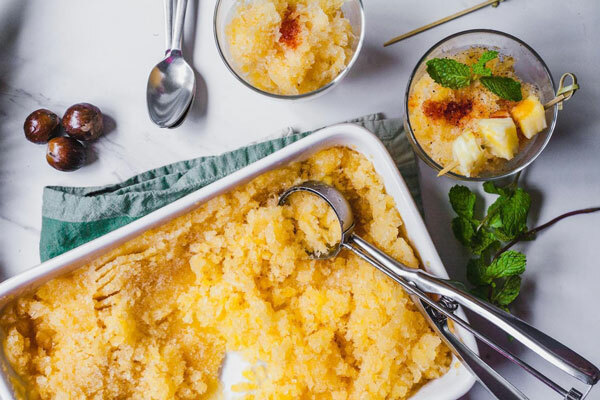 How do I freeze peaches? It’s so so simple. Cut the peaches in half and twist the pieces to loosen apart. Remove the seed and slice each half into three or four wedges depending on the size of peaches. 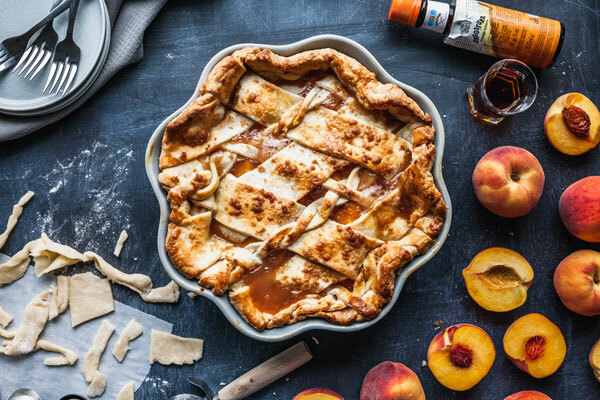 Line a baking sheet with parchment paper and place the peaches on sheet in a single layer. 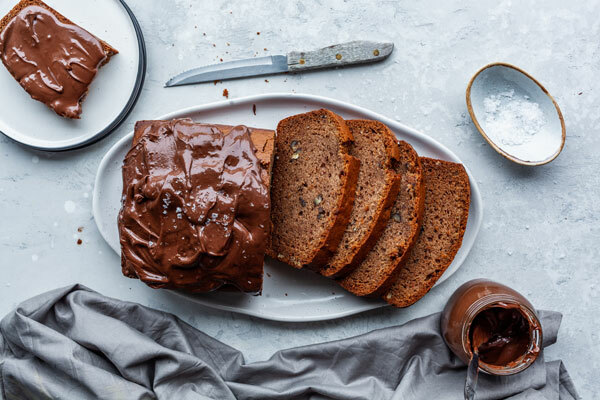 You may need two baking sheets to fit all of the slices. Then put the baking sheets into the freezer until pieces are frozen solid - at least 1-2 hours. 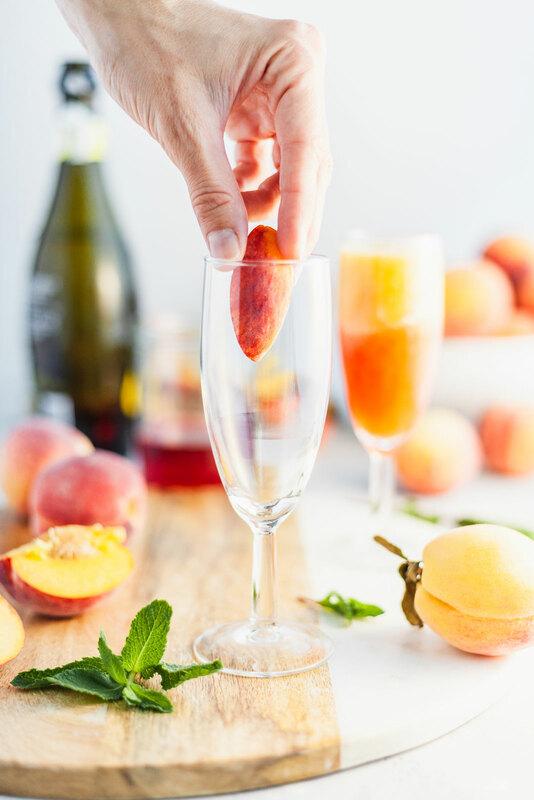 You can use them immediately for your Bellinis or you can transfer them into a large freezer bag and store in the freezer until ready to use. I usually make extra for smoothies. 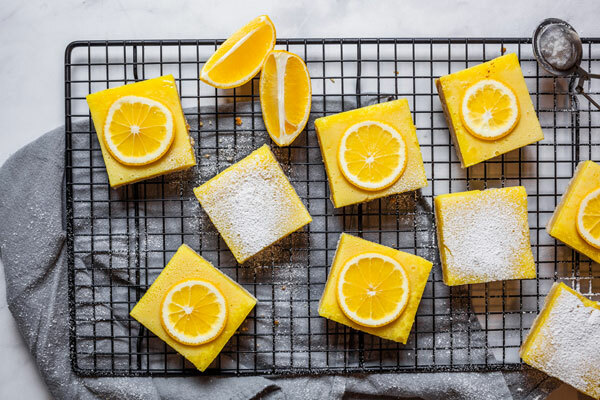 Freezing them in a single layer instead of just dumping them in a freezer bag from the start, helps keep the peach wedges or segments separate and easier to work with. This is a wonderful anytime cocktail. 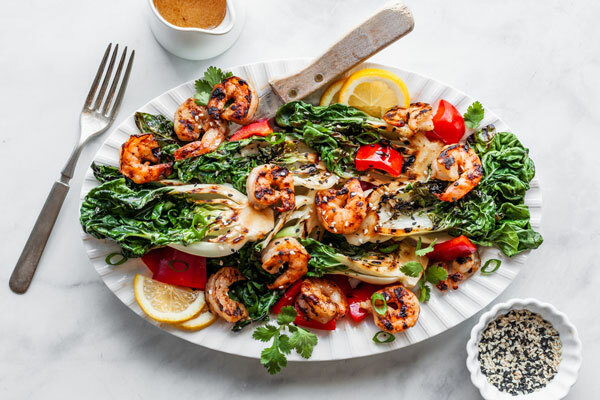 It would be wonderful at a bbq or dinner party, but also great for brunch. 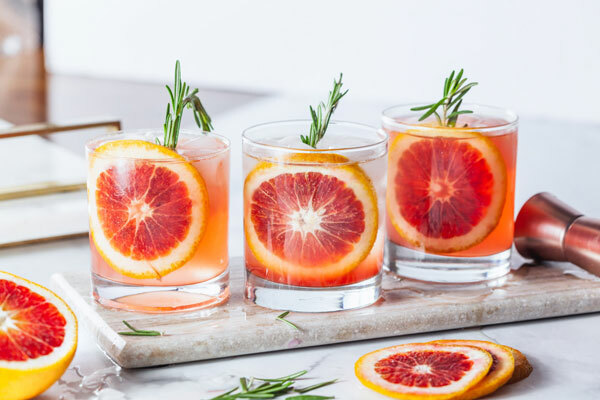 It’s also the perfect cocktail to drink on the patio or deck while sitting outside and enjoying the summer. 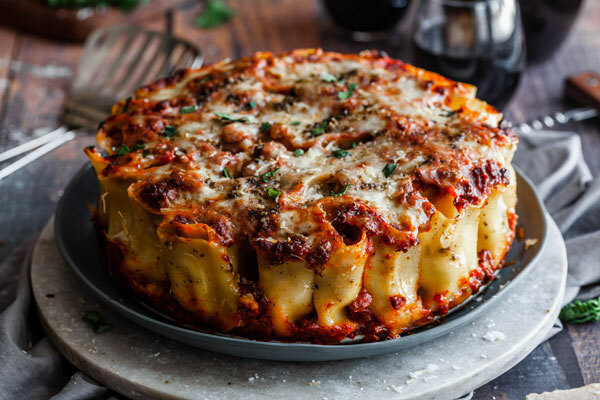 It’s easy and quick to put together and requires only a few ingredients that are pretty easy to come by. The grenadine is totally optional but it gives the drink its signature colour and it adds a little something special and unique to the flavour. I have listed the alternatives to use if you can’t get your hands on some. If you don’t like grenadine then you can definitely leave it out. 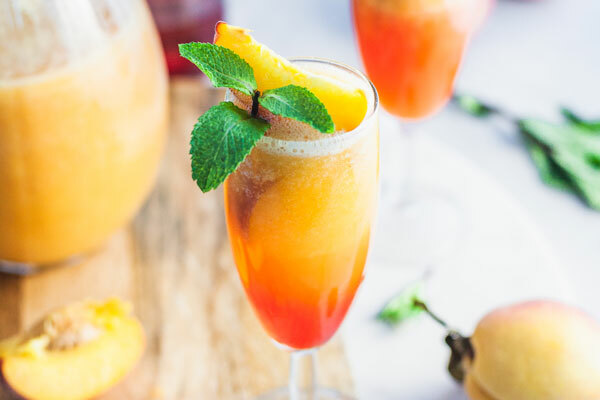 I have also listed some non alcoholic options for the prosecco or sparkling wine if you want to make these into virgin Bellinis. Which ever combination you decide on you will love them. 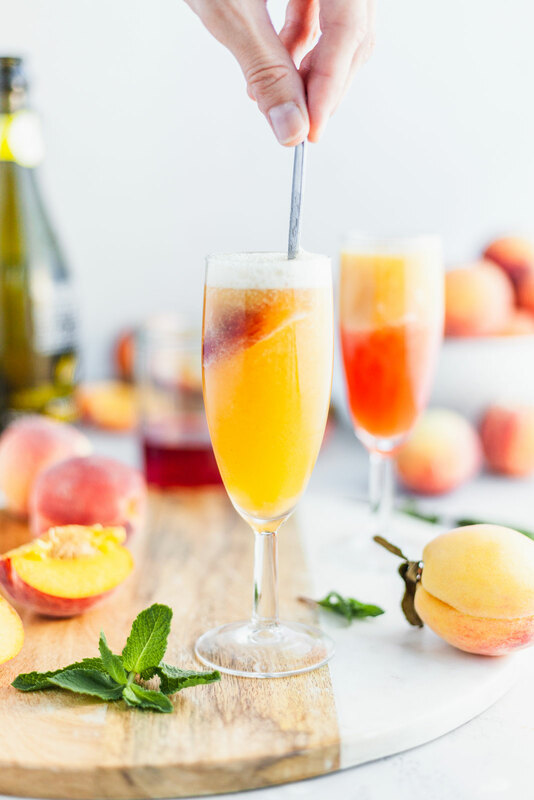 Naturally sweetened from the ripe and delicious peaches themselves and just enough bubble from the sparkling drink. 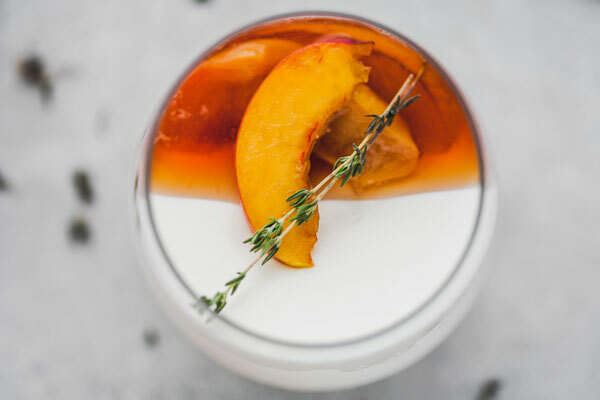 Enjoy and I look forward to sharing the other two peach recipes soon! 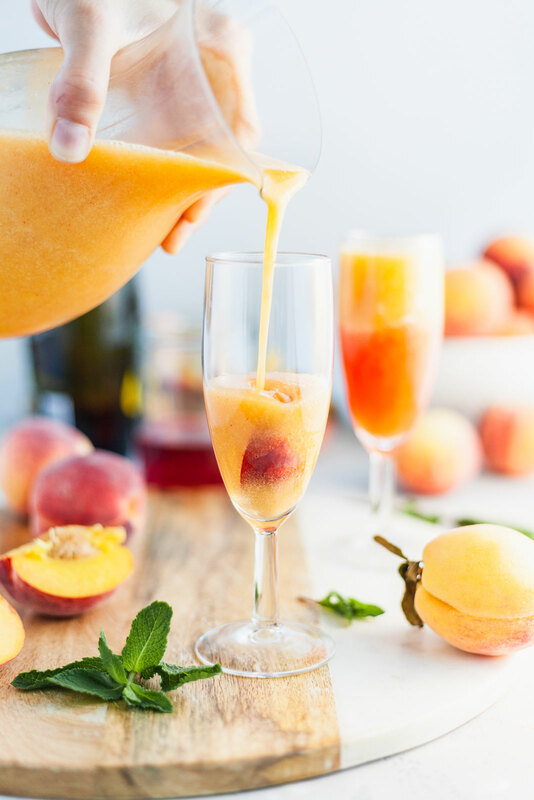 Combine peach slices and peach nectar in blender until smooth. 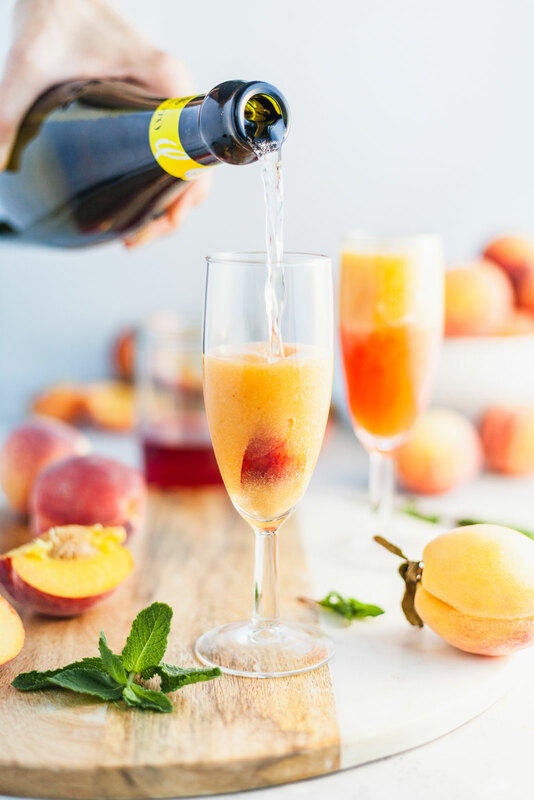 Pour peach mixture into champagne flutes until half full. 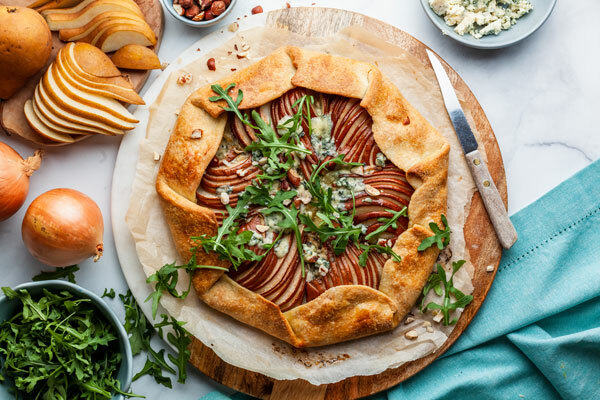 Serve immediately, garnished with peach slice and mint leaves, if desired.